I was thinking, how do we determine what we are touching when we aren’t looking at our fingers? I realized that our nerve endings are very sensitive and can feel some of the lightest vibration. It also dawned on me that perhaps the texture on our fingers – our fingerprints – vibrate differently when feeling a different surface. Understanding how we are able to sense our environment is important for many reasons. Perhaps, if we determine the sequence of action potentials that take place when we feel a material, we may be able to develop an electro-mechanical transducer for prosthetics. More importantly, we get to better understand our senses. A large portion of robotics surrounds the field of “localization,” the process through which a device captures, processes and understands the environment it is in. In the future, a robot could be built, which learns its surroundings by touching materials and taking pictures of them. Our fingerprints composed of many ridges in a random, but organized pattern. If you place your finger carefully on a surface, without rubbing it at all, while not looking, you cannot determine what surface you are touching. But as soon as you rub the surface, you can feel vibrations that determine physical properties such as smoothness of the surface. You can also determine the flexibility of a surface by applying a constant pressure to it, but determining how far in your finger moved. The actual sensor consists of a motion sensor that can determine vibrations, as well as position, and an air pressure sensor to determine contact pressure. These sensors are placed within an inflated, air-tight chamber such that any external pressure on this chamber will cause a rise in the internal air pressure. This can be measured by the air pressure sensor. A picture of how this sensor could look is below. At the bottom of the finger, to the IMU, there is a mechanical link. If the sensor is just suspended inside the air chamber, very little vibrations will be transmitted into the IMU. 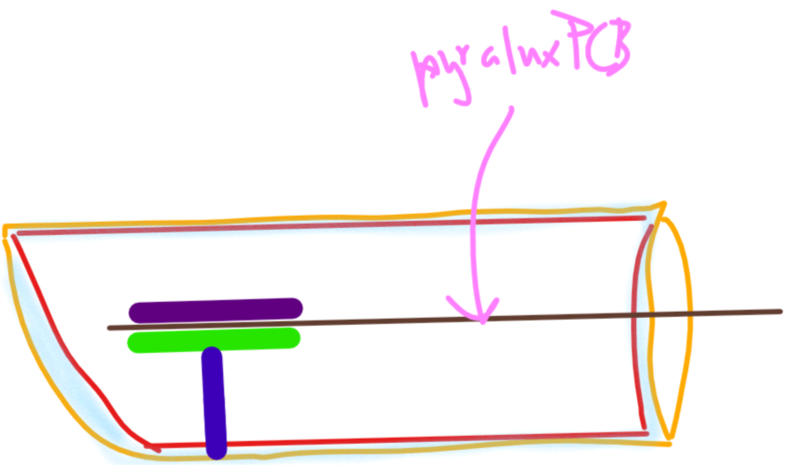 The PCB should be made of a flexible material like DuPont Pyralux. 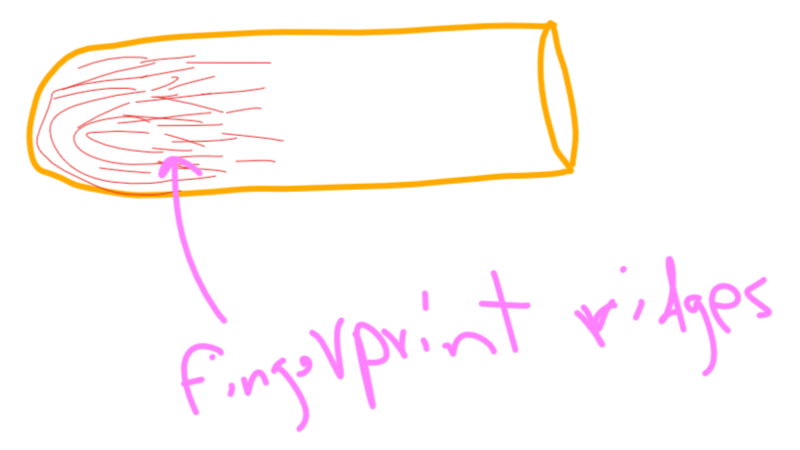 This will allow the sensors to move in the finger, constrained by the mechanical link. The airtight bag should be heat sealed around the PCB. If this bag loses air, the sensor may not work properly. An alternative would be to use a different type of a pressure transducer. Air pressure sensors are very cheap, but there are many types of flexion sensors. The prototype will currently only have an IMU. For the IMU, I will be using a six axis IMU from ST Microelectronics, the LSM6DSM. It has a 16 bit resolution for its accelerometer and gyroscope axes. Its accelerometer is capable of about 5k samples per second per axis. Its gyroscope can handle 1.5k samples per second per axis. The main processor for this project will be an ESP32 by Espressif Systems. It’s a dual core, 240 MHz CPU with WiFi and Bluetooth. I am using a prebuilt module, the esp32-wrover. I chose the esp32-wrover module because it has an extra 32 Mbit of external SRAM, allowing for a significantly larger capture buffer. The ESP32 can capture and send its data over WiFi to a computer running data acquisition software, or directly onto a server. The main processor board has a 32 GB SD card for headless data acquisition and a Lithium polymer PMIC for power.